Eastern company wants to start a training program that would cost $20,000. The training program is a tax deductible expense. The tax rate of Eastern company is 30%. 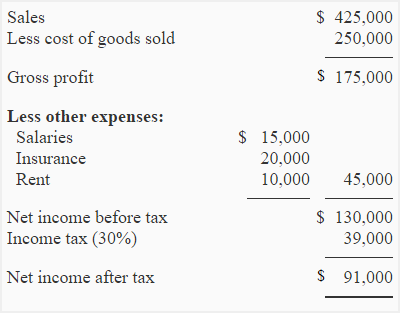 Prepare a new projected income statement of Eastern company to show the effect of training program on net operating income and income tax. What would be the after-tax cost of training program. 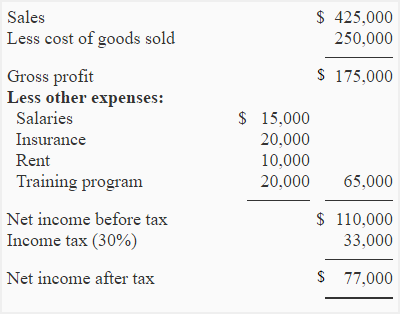 Because the training program is a tax deductible expense, it would reduce the taxable income of the company by $20,000 and reduce the income tax by $6,000 ($39,000 – 33,000). The after-tax cost of training program would, therefore, be $14,000 ($20,000 – $6,000). how to get rm 30000 for training program?